← Investec Women’s Premier League Week 14 Preview. NOW: Pensions Men’s Premier League: Week 15 Preview. With just four games to go in the NOW: Pensions Men’s Premier League matters at both ends of the table are still to be resolved. The weekend’s results threw up some surprises and some familiar stories as no less than 34 goals were rattled in across the five fixtures. Hallam, as already mentioned put up a brave showing against Beeston but remain bottom of the table on goal difference. After their recent win against fellow strugglers Loughborough Students, they have the chance to pick up points against another of the teams at the wrong end of the table, Cannock. The teams drew 2-2 the first time around but the Nockers will go into this clash as slight favourites after they moved three points ahead of the bottom two with an 8-3 demolition of Hampstead and Westminster. David Beckett grabbed a hat-trick to take his tally to 12 league goals for the season and his side will look to him to give them a vital advantage over the bottom two with more goals this weekend. Loughborough, themselves only off the bottom on goal difference have a chance to take advantage of dropped points by Cannock or Hallam but they face a stern test as they go up against play-off chasing Surbiton. The Students were beaten 2-1 by East Grinstead last week, thanks to a 69th minute winner from Niall Stott. Loughborough will know they cannot allow Cannock to extend their advantage if they are to avoid the relegation play offs. Surbiton, their opponents this coming week were brought down to earth with a bump by a second half blitz from Reading, who ran out 5-3 winners. 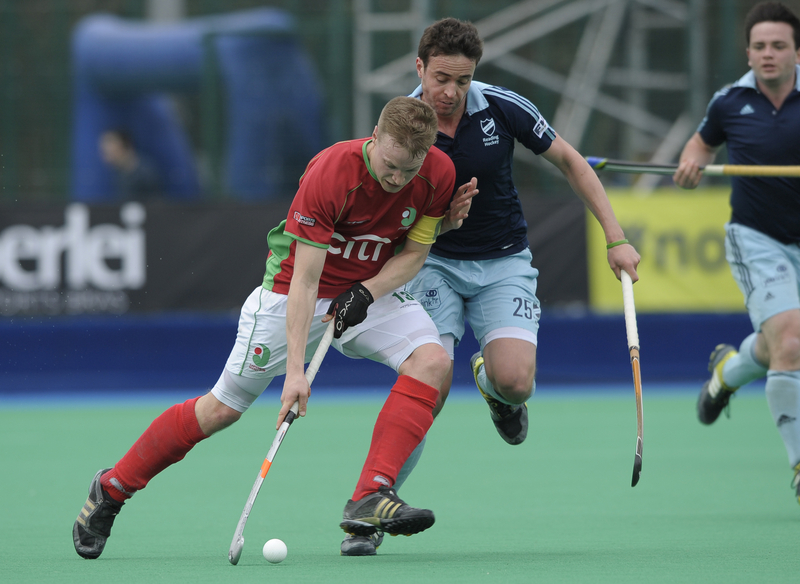 Having beaten the league leaders the week before, Surbiton were aiming to tighten their grip on fourth spot, but were left looking over their shoulders still after Reading dominated. Hampstead and Westminster, reeling from their 8-3 humbling at Cannock could not have asked for a tougher weekend, as they have a double header of a trip to East Grinstead on Saturday before welcoming Reading to Paddington Rec on Sunday. Hampstead, though mathematically not safe, look to be too far ahead to be in relegation trouble, but will want to have a say in the title race and to finish with as many points on the board as they can. 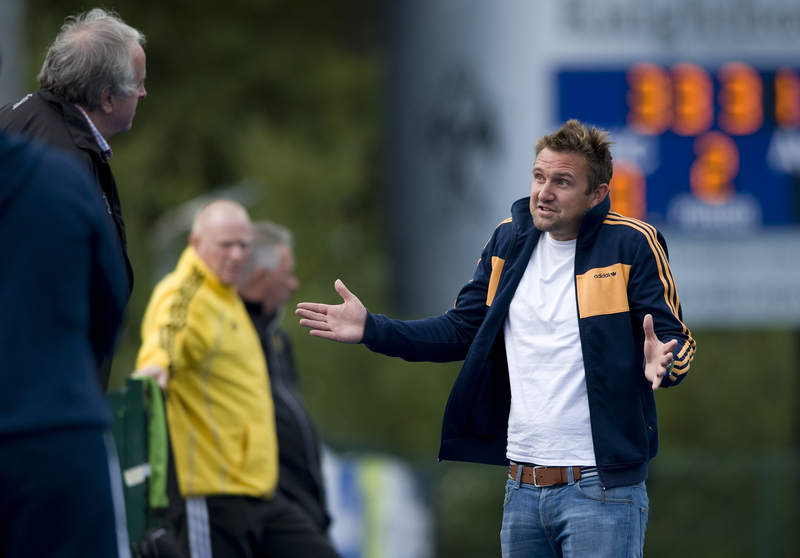 However, this weekend will by no means be easy for Tom Kavanagh’s side. With plenty of big games taking place this weekend. There is no let-up in the drama and no telling how many more twists and turns we may witness before all is said and done in the NOW: Pensions Men’s Premier League. Make no mistake, every goal and every point can still have a bearing on the outcome at the end of the season. As always you can keep updated on the results by visiting the England Hockey Website.